They consider me a valuable source of information. Ugh. That’s a nice way of calling me a dinosaur. 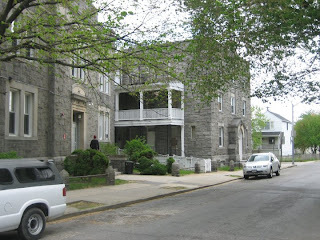 The “Blessed Sacrament School –Old York Road in Baltimore, MD 21218” group on Facebook has 133 members. I’d like to think it should be more, but then this is an elementary school that closed its doors in the 1970’s due to declining enrollment. When I browsed the group’s page the other day, it saddened me to see that the school building, rectory and convent are all up for sale. I gazed at the photographs. What they called the parking lot had been our playground, but now it was as cracked and broken down as some of its earliest graduates. Clicking through to the Archdiocese of Baltimore’s Real Estate page (which I didn’t know existed), I saw no less than seven Baltimore City Catholic schools and three Baltimore County Catholic schools for sale. Aside from its clergy’s well-publicized faults, it was hard to top a Catholic education from the 1950’s through the 1980’s. The nuns and priests were my second family. Their watchful eyes saw and noted everything. Missteps had consequences and transgressions were swiftly reported to my parents who followed up when I arrived home. If my mathematics calculations or my grammar wasn’t correct, they made sure that I worked until the concepts had been mastered. In that flourishing era of Catholic schooling, there was no such thing as tuition. Our parents were just supposed to toss a dollar or two into the collection basket at Sunday Mass. Our religious educators didn’t receive salaries, only small stipends to cover their bare necessities. 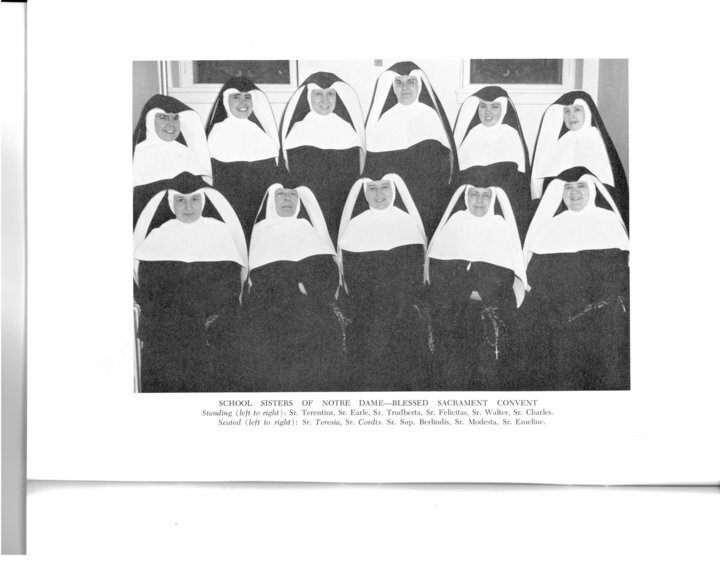 My mother and other parents volunteered to ferry the nuns to medical and dental appointments on a rotating basis. Mom volunteered me to struggle through my modest piano repertoire to entertain the sisters on occasional Sunday afternoons. It was a shock when I graduated to Catholic high school, where the tuition was a then-staggering $200 a year. My modest urban alma mater is now approximately $12,000 per year plus add-on fees. Blessed Sacrament Parish recently celebrated its 100th anniversary. In the beginning the surrounding community was solidly blue collar. 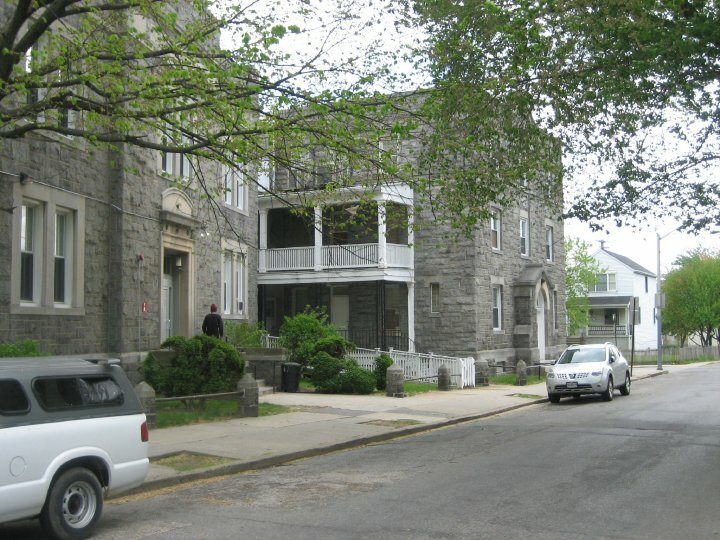 Before it succumbed to the infection of drugs, crime and poverty, hard-working families raised their children in the rowhouse-filled streets, attended church and entrusted their children to the School Sisters of Notre Dame who lived in the greystone convent attached to the school building. 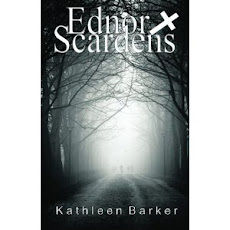 It was the luck of the draw whether you got the fresh-faced nun, straight from the novitiate, sweet and kind, or the prune-skinned relic, counting the days until retirement from classroom duties. We did have a few lay teachers, but they were the exception and exclusively female. The pupil-teacher ratio was large. It was not unusual to have 30+ kids in a class. Yet the room was as silent as a tomb. 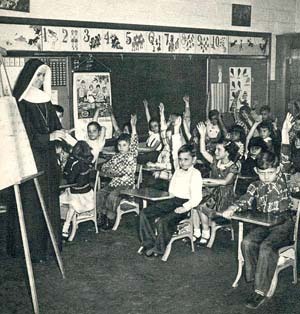 The nuns wielded a long, wooden pointer whose use wasn’t restricted to the blackboard. After-school detention meant humiliation, additional homework and manual labor around the school grounds. It just wasn’t worth it. Conversely, the agony of self-control could be legendary. Those unfortunate enough to be selected for the church choir were led by Sister Mary Teresa. This poor woman’s sanity was borderline, due to teaching the combined 6th/7th grades with a total of 49 pupils daily. We practiced in the choir loft of the church, accompanied by the organist, Maizie. An object of very unchristian juvenile cruelty, Maizie had been born with a cleft palate which had been poorly repaired. Back in the 50’s, the unsophisticated term was “harelip”, based on the shape of a hare’s lip. This defect distorted her speech into nasal garbling. “Nit nur buks uf muh urgun!” she would yell. Translation: “Get your books off my organ!” We would raise our hymn books to cover our red, contorted faces as we fought to stifle our laughter and keep our pants dry. As I write, the television networks are covering the Pope’s retirement….more convulsive change. Yes, reflecting on and complaining of change is characteristic of an aging personality, but I’m not convinced that’s the complete explanation. Change is accelerating on all fronts and I don’t think I’m alone in struggling to stay abreast. The challenge is figuring out what changes are worth keeping.